Study finds high amounts of metals in e-cigarette aerosols. Ever since their appearance in 2004, electronic cigarettes have found success by cornering the market as the safer alternative to their traditional counterparts. 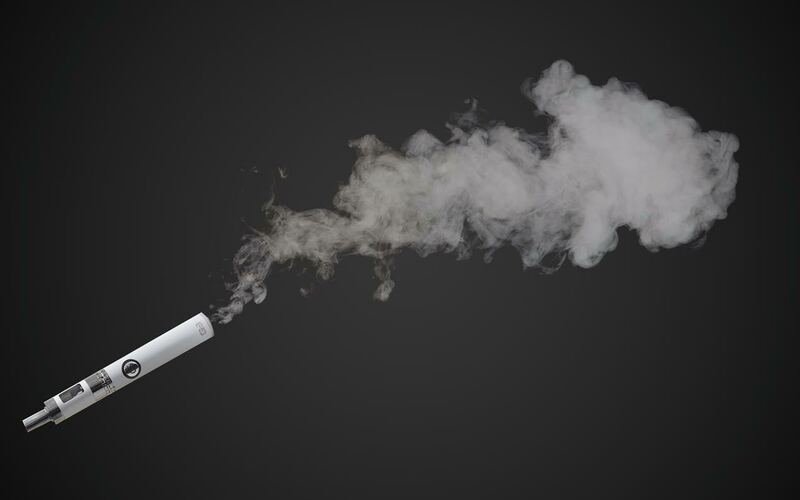 The assumption has long been that e-cigarettes are harmless because they contain no tobacco and involve no combustion. However, a new study published in the Environmental Health Perspectives journal last month seems to indicate otherwise. The findings of the study indicate that e-cigarettes could be potentially dangerous sources of exposure to toxic metals like Chromium, Nickel, and Lead and to metals that are toxic when inhaled, such as Manganese and Zinc. The study, which was conducted by a team of scientists from the Johns Hopkins Bloomberg School of Public Health in Baltimore, Maryland, showed that e-cigarettes generate an aerosol by heating a solution with a metallic coil. The purpose of the investigation was to determine whether the transfer of metals from the heating coil to the e-liquid in the e-cigarette tank was dangerous. The team, headed by senior study author Ana María Rule, sampled the refilling dispenser, aerosol, and e-liquid tanks from 56 e-cigarette devices of daily e-cigarette users. They found that aerosol mass concentrations for the detected metals exceeded current health-based limits in close to 50% or more of the samples for Chromium, Manganese, Nickel and Lead. There has been a steady growth in e-cigarette popularity on college campuses all across the country. Like most things these days, its popularity has grown rapidly thanks to the internet culture popularization such as the trending hashtag #VapeNation. SLU introduced a Tobacco-Free Policy that went into effect on July 1, 2016. The policy includes e-cigarettes (although they technically do not have tobacco). However, college students between the ages of 18 and 24 are still the largest e-cigarette users over all others. The popularity of vaping comes from the nicotine “hit” experienced while providing the look and feel of tobacco-smoking. The assumption that vaping is “safe” has been contested for a while now, however. This is just one of many studies that have been released over the last year that seem to indicate vaping is not the refuge many initially thought. It is within the Food and Drug Administration’s ability to regulate e-cigarettes, but they are still considering how to do so. This recent study could serve as the most recent development to encourage the FDA to make it a major focus moving forward. Rule and her team are now planning further studies of vaping with particular attention paid to how exactly these metal exposures will impact people. ex: An average user consumes approximately 30 ml of e-liquid over 3-5 DAYS … in order to ingest the amounts need to hit the ‘minimum’ levels, a person would have to consume close to 100 ml of e-liquid PER DAY. A quick analogy: if you drank 5 gallons of water per day, your brain would short-circuit from the loss of electrolytes … but I don’t think we’ll BAN water just yet. Presenting data in the correct context is imparative when presenting information. That’s just my observation, I could be wrong.